Economic data argue for a stronger currency. What’s going on? Canada likes to associate itself with fellow members of the Group of Seven, the club of post-war economic powers that includes the United States and Germany. Currency traders couldn’t care less about G7 membership these days. The other day Bloomberg News published a chart of the 20 biggest losers against the U.S. dollar this year. And right there in the middle, below Ghana’s cedi and above the Tanzanian shilling, was the Canadian dollar. The loonie has dropped about two per cent against its American counterpart since early January, mostly in the last couple of weeks. There was a time when currency values said a great deal about the state of their economies. A strong currency implied demand for the stuff you were selling, while a weaker exchange rate suggested the opposite. That simple extrapolation is less exact nowadays. That’s because tens of thousands of human speculators and their algorithms are constantly buying and selling currency without any intention of ever using it to purchase a good or service. Still, the exchange rate remains a decent gauge of who is up and who is down in the global economy. And in recent weeks, Canada has suffered a serious drop on the power rankings. Some of the Bay Street economists who have been cheering Canada’s economic rebound, while chiding the Bank of Canada for being circumspect, are displeased currency traders aren’t buying their story. “We’ve spent hours over the past few weeks talking to blood-thirsty global investors that are largely influenced by Trump’s tweets on NAFTA and the Home Capital saga,” Benjamin Tal, an economist at Toronto-based CIBC World Markets, said in a May 5 note for the bank’s clients. To be sure, the most recent economic data argue for a stronger currency, not a weaker one. Statistics Canada reported on Friday that the unemployment rate dropped to 6.5 per cent in April, the lowest since October 2008. Canada has added jobs in 15 of the last 17 months, averaging a net monthly increase of 23,000, a good showing by historical standards. Another StatsCan report the day before showed exports rose 3.8 per cent to a record $47 billion in March from February. That’s significant because weak international sales have been a drag on the Canadian economy for years. All this good news has forecasters talking about Canada’s economy hitting an annual growth rate of around 4 percent in the first quarter, which would easily best the rest of the G7. Canada dwarfs Ghana and Tanzania, but it still typically is an afterthought for global investors who concentrate most of their attention on the U.S., China and Europe. One of the of the things they do know about Canada is that home prices in Toronto and Vancouver are off the hook. So when then they see a torrent of stories in the financial press about a mortgage lender (Home Capital) in trouble over some dodgy home loans, they get jumpy. They remember the U.S. housing collapse, so they sell their Canadian assets without much thought as to whether the correlation is true. There is another play. Some investors, recalling how a few bold hedge funds became rich and famous by betting against the U.S. housing market, now are attempting to repeat the trick in Canada. Regardless, the immediate effect is downward pressure on the value of currency and assets linked to housing and the banking industry. The other thing a global investor will know about Canada is that it is overly dependent on trade with Donald Trump’s America. And as everyone with a Twitter account is aware, the U.S. president intends to renegotiate the North American Free Trade Agreement, while harassing any country that he thinks treats Americans unfairly. That bodes ill for Canada’s short-term economic prospects, and therefore is another reason to divest before Trump’s tweets turn into profit-killing tariffs. Anyone betting against Canada because of Home Capital probably is overreacting. It’s a relatively small player and default rates on its loans are low. The company’s troubles could make it harder to for new buyers to get mortgages, and that would reduce demand and squeeze prices. But the Bank of Canada already assumes that will happen, in one way or another. According to the central bank’s latest forecast, housing will contribute nothing to economic growth in 2018. Worries over trade appear entirely legitimate, however. Yes, the recent jump in exports will add to GDP growth in the first quarter. Yet the gains likely were transitory. Canada benefited from increased shipments of natural gas because of unusually cold weather in the U.S. Northeast; a jump in orders for coal from Asia because Australia was swamped by a cyclone; and strong demand for lentils from India, a country which is determined to become self-sufficient in the staple. In the months ahead, tariffs on lumber exports to the U.S. will bite, while uncertainty over trade policy will continue to impede investment. It’s true, Poloz is no cheerleader for the economy. After a speech in Mexico City on May 4, he actually deflected a question on what incentive measures were in place in Canada to attract investment. Poloz also refused to be drawn in on Home Capital, saying he wouldn’t talk about an individual company, although he did reiterate that record levels of mortgage debt represent one of the Canadian economy’s biggest vulnerabilities. In his commentary on the economy, his assessments have been nuanced, acknowledging that the better-than-expected data is positive, while pointing out that growth led by highly indebted households is unsustainable. Bay Street has had little interest in such subtly this year. Most believe Canada’s economy has turned. But it is important to keep in mind that forecasters have little at stake. Those who do are more cautious. 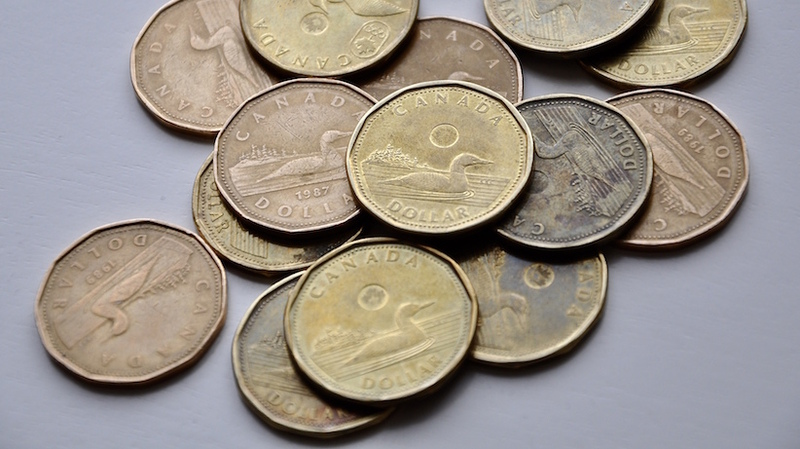 Canada’s economy may deserve a stronger currency, but not that much stronger. There isn’t that much to cheer about.